Barstoolsforless.com is set to release a report on the many ways the bar stool has infiltrated popular culture. The little noticed rise of the humble bar stool has the site’s visitors and staff quite enthused. We’ve found many examples where bar stools show up in films and television. Take the classic scene from The Graduate… the height differential of the stools, their elegant and modern but retro styling, accentuates the movie perfectly. Barstoolsforless.com is soon to release a report titled “The 9 Crazy Ways the Bar Stool is Infiltrating Popular Culture”, and is excited by its findings on the increased portrayal of the bar stool in popular films and television shows. 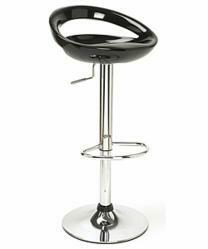 “We’ve found many examples where bar stools show up in films and television. Take the classic scene from The Graduate… the height differential of the stools, their elegant and modern but retro styling, accentuates the movie perfectly. This is just one example of many we lay out in our soon to be finished report”, says Jack Patterson the report author. The bar stool has its origin’s shrouded in mystery, but its clear that barstools have an increasing role in the contemporary styling of popular culture. Customers on the website have expressed anxious excitement for the release of the report. Bar stools can be found outdoors, in kitchens, and around bar sets, with a variety of fabrics and metals – including metal, leather, cloth. Today’s designers aren’t afraid to choose the very best, and with extensive online collections, one can find the best counter height and tall stools for less. To get a copy of the bar stool report, visit http://www.barstoolsforless.com.